What About the SuperAmerica Trademark? Loyal readers know that trademark rights are dynamic, use-it-or-lose-it intellectual property rights. We’ve been stalking Kevin O’Leary’s nutty Mr. Wonderful trademark application, for a while now. Last week, I enjoyed the privilege of returning to Iowa City (where it all began) for Executive Leadership Board Meetings at the University of Iowa College of Pharmacy. Great meetings there! Talk to Chuck, Trade Like Chuck, or Chuckit? Timber! 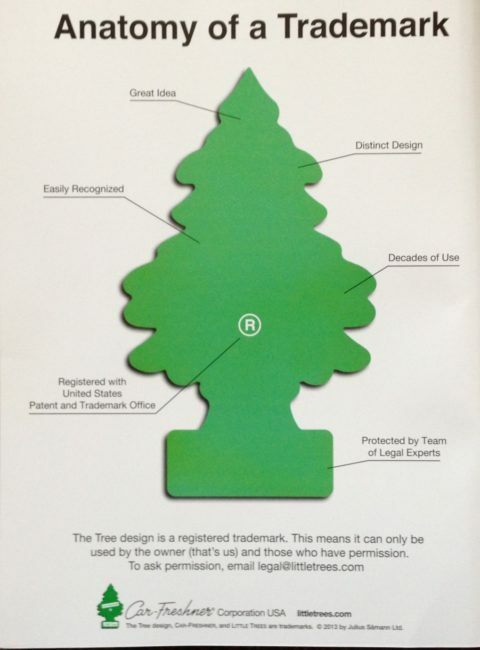 Will the Little Trees Car Freshener Configuration Trademark be Chopped Down?